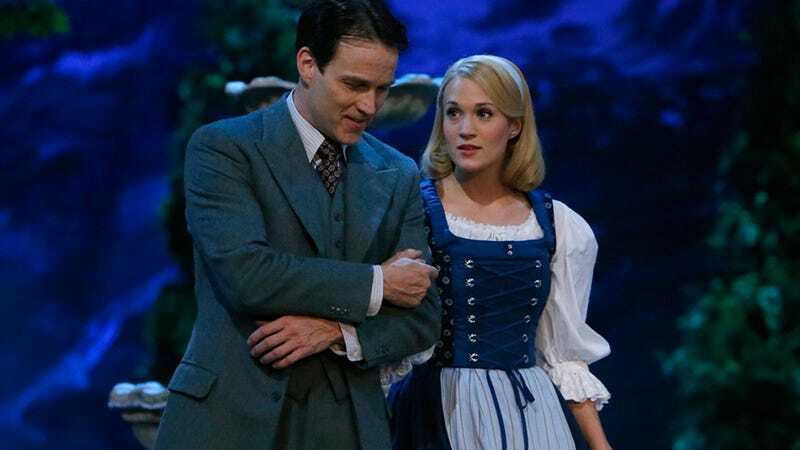 Carrie Underwood has responded to the harsh public reaction to her less-than-impressive performance in the deeply unimpressive Sound of Music, Live! : "Plain and simple: Mean people need Jesus," she Tweeted. "They will be in my prayers tonight... 1 Peter 2:1-25." I mean, I am staunchly opposed to cyber-bullying of all sorts, and I don't think that Carrie Underwood deserved any personal attacks for her performance (she tried! And she sang some nice things!) — but everyone is entitled to their own opinion, and the Sound of Music, Live! was mostly excruciating to watch. It&apos;s Time for Our Sound of Music, Live! Liveblog! I don't think that we should be going to the Olympics at all. I don't know if my opinion is not highly regarded, in terms of the amazing champions and people that are rehearsing and training for the event… I mean I would never take anything away from their hard work, I just think it is absolutely wrong for so many countries to give money and economy in the way of a country that doesn't support gays. Sorry, now I'm getting serious, but it's not just that they don't support the gay community, they pepper spray and beat them in Russia. I went to Russia for the Born This Way Ball, and I was really excited to be there, because I felt it was an important place to bring the message of the album. But it made me very sad to see the pain that some of the gay kids are in [when living] in Russia.